Have you ever thought about how expensive jewelry is and wondered why we all have to pay so much? Vanessa Stofenmacher had that exact response when she started selling jewelry brands through her first gifting business, which she ran with her sister. That company failed, but her curiosity and drive to disrupt the jewelry industry didn't. So in 2014, Stofenmacher founded Vrai & Oro and used her learnings to launch a new fine jewelry business that sought to take the traditional brands head-on with her mission of quality, simplicity, and transparency. Those three words might seem like fairly straightforward business principles to you reading this, but according to Stofenmacher, this wasn't the case for a lot of the big name brands. All of her jewelry is made in L.A. using only solid gold and high-quality diamonds (no fillers here) with an ethical, sustainable approach. But we'll let her explain all the finer details in our interview below. Take a read to hear more about her inspiring journey from failure to successful startup and what she's learned along the way. I was a graphic designer in my first life and started a boutique design studio called Duk Design where I created logos, websites, and brand identities for startups and small companies. I ran this company for three years, but graphic design started to feel traditional and static, so I began considering other opportunities. I studied user experience design at General Assembly to learn a more progressive approach to design and launched a startup with my sister who had just finished business school and was living in Palo Alto (where new startups were being born every day). With her background in business and mine in design, we came together to launch Heirlume, a gifting recommendation website that helped match shoppers with gifts for their significant others. We quickly realized that fine jewelry was the number one gift, so we started working with jewelers across the U.S. to sell their products through our marketplace. I didn’t have a background in jewelry, so I was shocked when I realized how the industry operated behind closed doors. The markups were extremely high, and most of the jewelry was pre-made overseas and selected through catalogs without consideration for how or where it was being made. Heirlume didn’t work out, and my sister and I decided to part ways in business but the urge to bring transparency to the jewelry industry stayed with me. That’s when Vrai & Oro was born. How did you make the transition from the gift company to becoming an entrepreneur and launching your own jewelry business? The gifting company didn’t end up being successful– mostly because we were operating an online business with the same business model as traditional retail. Being a marketplace, we were a middleman ourselves and weren’t able to offer our customers a better value on the products we sold. After seeing the lack of transparency in the jewelry industry firsthand, I became obsessed with finding a better way. I noticed I wasn’t interested in buying jewelry myself and realized it was because I couldn’t relate to anything in the market. Overpriced jewelry didn’t appeal to me, and I had little interest in fashion jewelry that would end up in the trash. So I set out to create jewelry that would speak to my personal values. Living in Los Angeles, I was able to create relationships in the jewelry industry and launched our first collection of 10 designs with $8000 in funding. We’ve been fortunate enough to grow from there. Founding Vrai & Oro was not about starting a jewelry company. My goal has always been to create jewelry that can act as a symbol to communicate our values and be worn as a thoughtful reminder for your everyday. Since we’ve been values driven since day one, it has made putting in long hours and sacrificing a social life a lot more rewarding. To add, I’ve always had an entrepreneurial spirit, so starting a business didn’t feel foreign to me. When I was growing up, both my mom and dad had their own businesses, so watching them take risks was part of my day-to-day. I’ve always loved throwing myself into my work (for better or worse). Growing a team and learning to delegate. Early on I would always try and do everything myself, which doesn’t allow a business to scale. Finding team members who I can trust to take an idea and run with it has always been my challenge. Seeing firsthand what happens when the right people are in the right positions is what continuously helps me change. It’s not only a peace of mind that those responsibilities are in good hands, but it’s allowed us to grow significantly. I’m naturally introverted, which I used to see as a hindrance in business, but now I view it as my strength. I use my sensitivities to lead through empathy and compassion in order to build the most authentic business I can. What's the most important thing you have learned when making a big change in your career life? A team needs a leader. When I first started in business I put myself on the same playing field as everyone else on the team—we were all in it together. I didn’t see myself as a leader because I didn’t have experience and always questioned my abilities. It wasn’t until I changed my mindset toward leadership—from a hierarchical leader sitting above everyone else to a selfless leader who gives up everything for the benefit of their team—that I was able to embrace the role and start learning how to lead. I’ve built up many routines in my life that I can count on everyday—these are my constants. Knowing that I’m taking care of myself physically, nutritionally, and mentally, I’m able to be much more open to change throughout the rest of my day. What are some mistakes you made along the way that ended up helping your success? And what did you learn? On a few occasions I’ve gone against my gut and made decisions based on popular consensus, but I always end up regretting them. I’ve learned to trust my gut and more importantly, I’ve become better at communicating my gut feelings so other people can get on board with my decisions. I love that I’m able to do something every day that I’m extremely passionate about. This passion doesn’t always lead to positive emotions, but being able to care so deeply about my work is a luxury in itself. Outside of passion, I love that I’m never bored, because every day is completely different. I have no regrets in changing my career, my only regret is how I changed it. When I was in business with my sister, I wish I had been able to communicate my ideas more clearly, which I think would have helped her better understand my decision to start something new. What advice do you have for other women who want to branch out and make a change in their lives as you have? Embrace failure. It’s the fastest way to learn and grow. Everyone runs into problems when they start a business, but it’s those who are able to see the roadblocks as opportunities, opposed to setbacks, who will go the farthest. 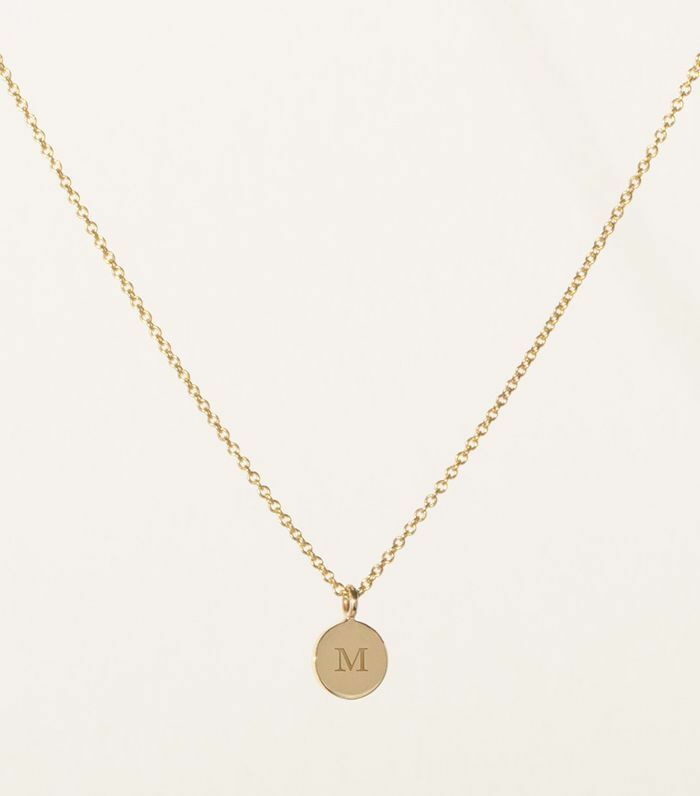 I own this necklace with my son's first name initial and I don't ever take it off. It's so light and simple that it goes with everything. 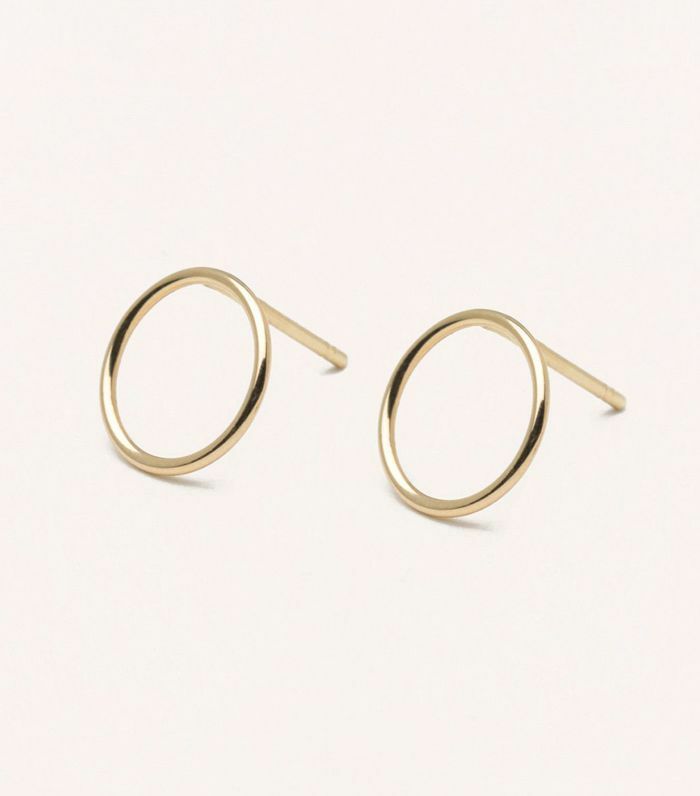 These little earrings literally hug your lobe, hence the name, and they're the perfect little accent. 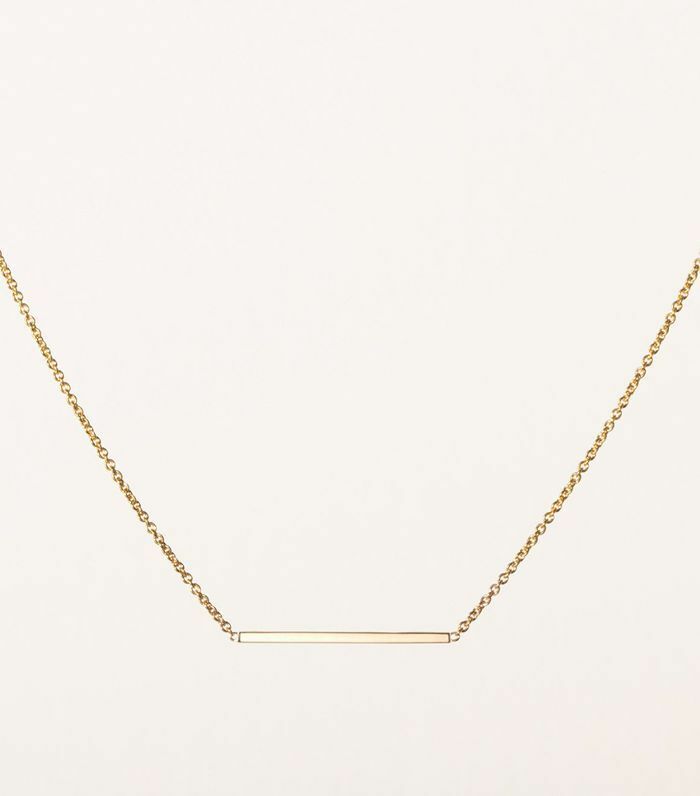 If you want to keep it simple, then this classic line necklace is for you. It's also a great price, making it a perfect gift for a loved one too. 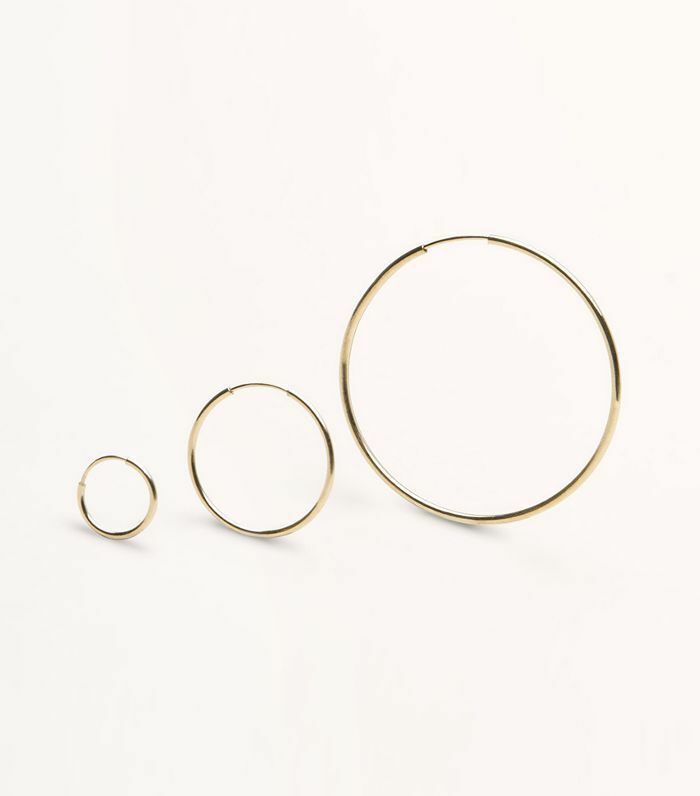 Hoops are back in a big way. These are really fine and lightweight so you won't even feel them. Great for party season. Looking for a gorgeous gift idea for a new mom? 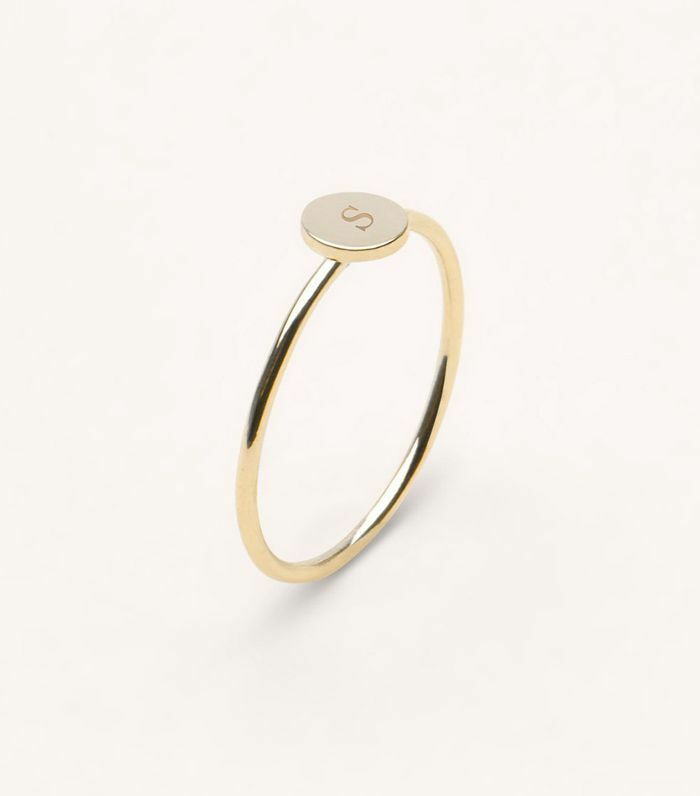 Send her this simple ring with her child's initial stamped on it. Or just buy it for yourself too! I also have these circle earrings and I can't tell you how many compliments I get on them. 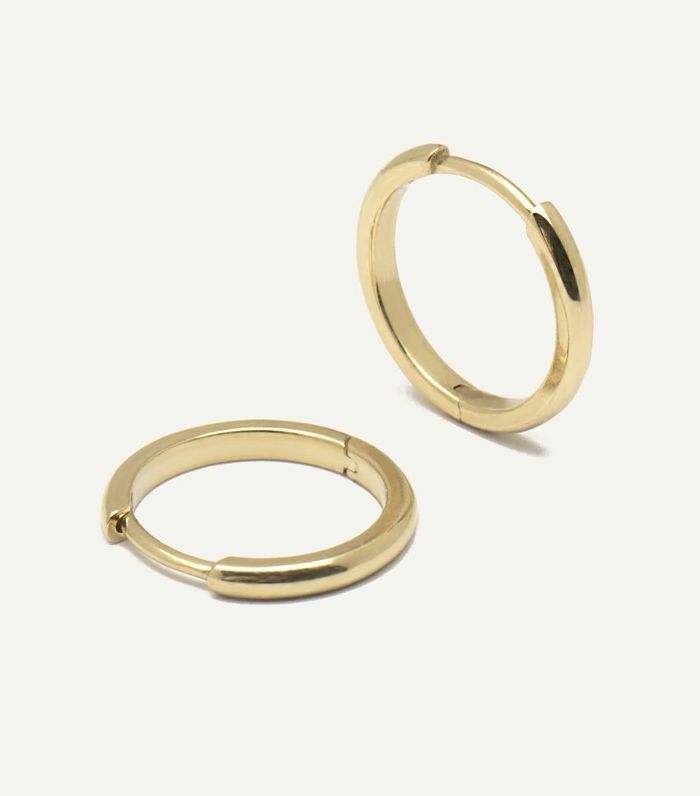 The circle sits flat on your lobe for a chic look. 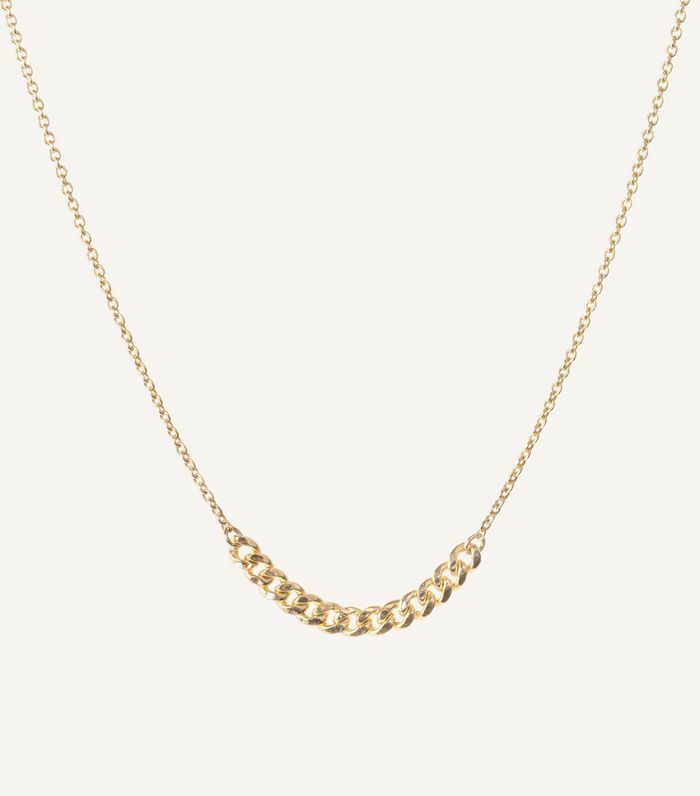 I love the combination of the large and small links on this chain necklace. Minimal with an edge. 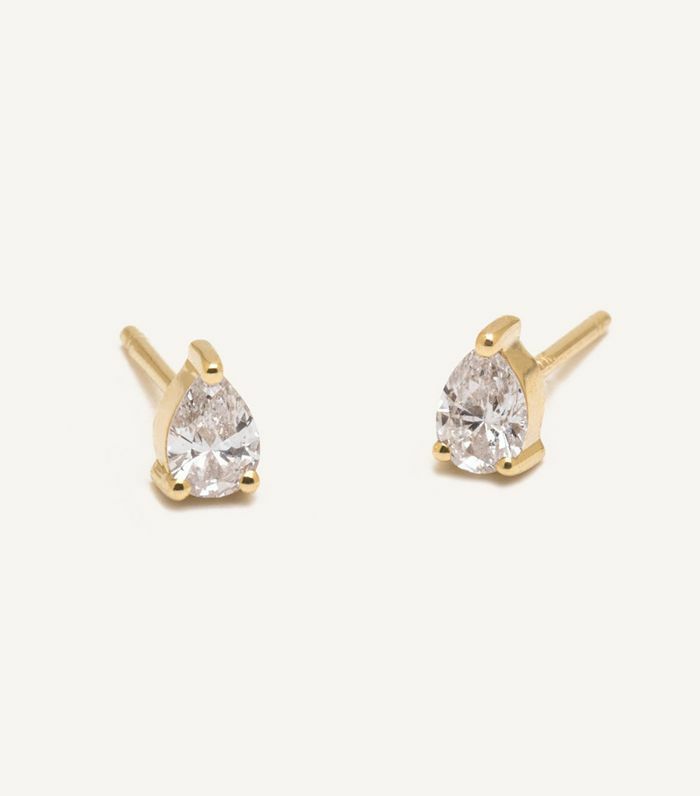 If you really want to step it up a notch, then these stunning diamond earrings are the way to go. The classic pear shape is always on trend. Up Next: See Behind the Scenes of Our First Womaneer Power Lunch in L.A.